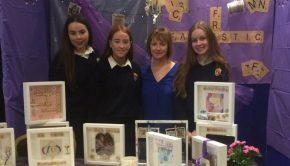 LCA Presentation to Our Lady’s Children’s Hospital, Crumlin. 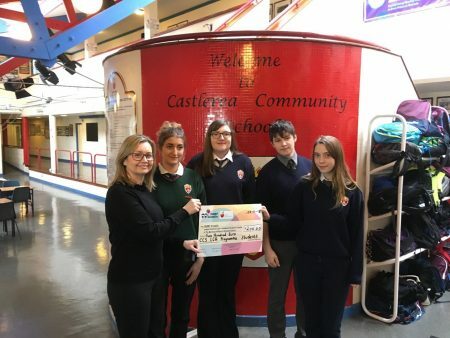 On Wednesday, the 7th November, students from the Castlerea Community School’s LCA Programme had the wonderful distinction of presenting a cheque worth €200 to Sinéad Nolan on behalf of Our Lady’s Children’s Hospital, Crumlin. 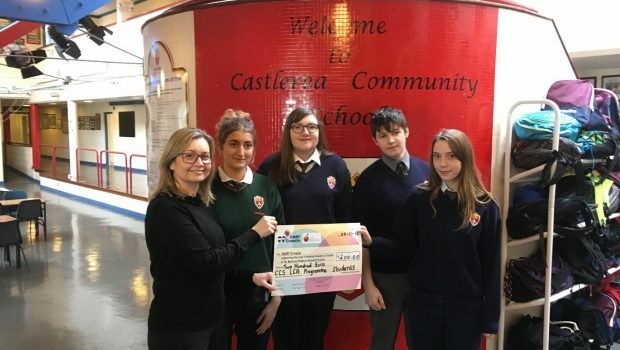 Students from the LCA programme organised a sports day for 1st year students in September and through their hard work they raised €200 to support the children’s hospital. 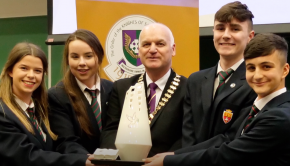 The school would like to take this opportunity to thank all of the students for their hard work in organising the successful sports day. 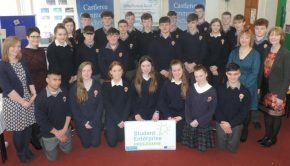 Castlerea Community School is dedicated to the pursuit of excellence in education in a caring environment of mutual respect so as to foster the full potential of its students and staff. 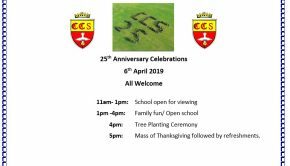 In partnership with parents we strive to create a desire for life long learning, respect for the individual, an awareness of the needs of the disadvantaged, concern for the environment and an appreciation of our own unique culture.